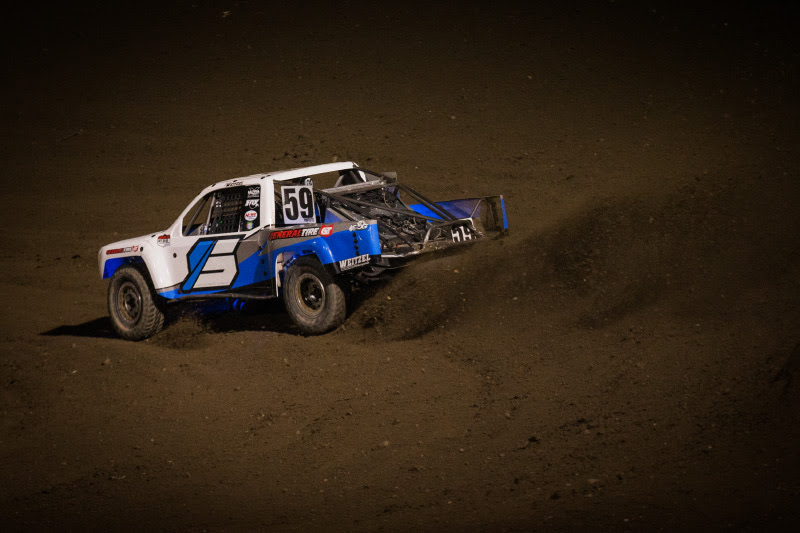 Jimmy Weitzel, coming off of the prestigious honor of a 2018 Pro Lite Rookie of the Year title and also a 3rd place finish in the 2018 Lucas Oil Challenge Cup, he had a lot to live up to coming into the 2019 Lucas Oil Off Road Racing Series (LOORRS). With a homegrown racing program and nothing but the loving support of mom and dad, racing in the pro leagues of the national short course series is a tall order. 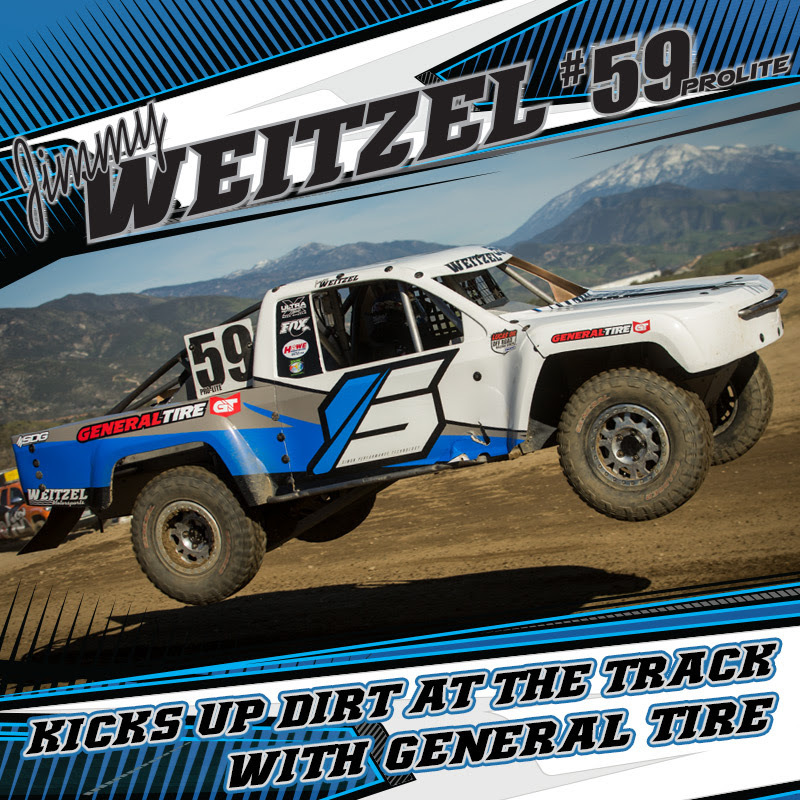 Jimmy Weitzel, driver of the #59 Simon Performance Technology V8 powered Pro Lite came out swinging in Round 1 for a 6th place finish in the General Tire So Cal Shootout at Glen Helen Raceway. After taking 7th fastest in qualifying, the Simon Performance Technology#59 sat third row for the race out of a stacked class of 17 trucks. The green flag waved, and turn 1 got crowded with Hailie Deegan trying to dive in from behind while Cole Mamer was throwing punches on the inside, it was a chaotic rumble of horsepower, fiberglass, and metal flying around the 1-mile track. Jimmy found himself being knocked around the ruckus and dropped a position just trying to find some clean air. On Lap 3, Weitzel broke free, and pushed through to regain the position but began to fade again on Lap 7. From then on, Weitzel ran the distance, running five consistent laps until the white flag. Jimmy used the last lap as sprint and burst through, making a pass for a 6th place finish. 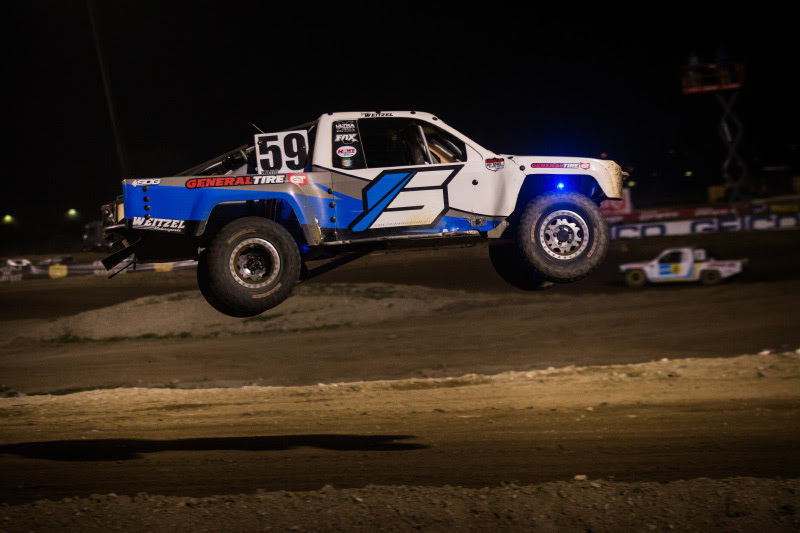 Jimmy is now preparing for Round 2 “Duel In The Desert” of the Lucas Oil Off Road Racing Series on April 13 at Wild Horse Pass MotorsportsPark in Chandler, Arizona. 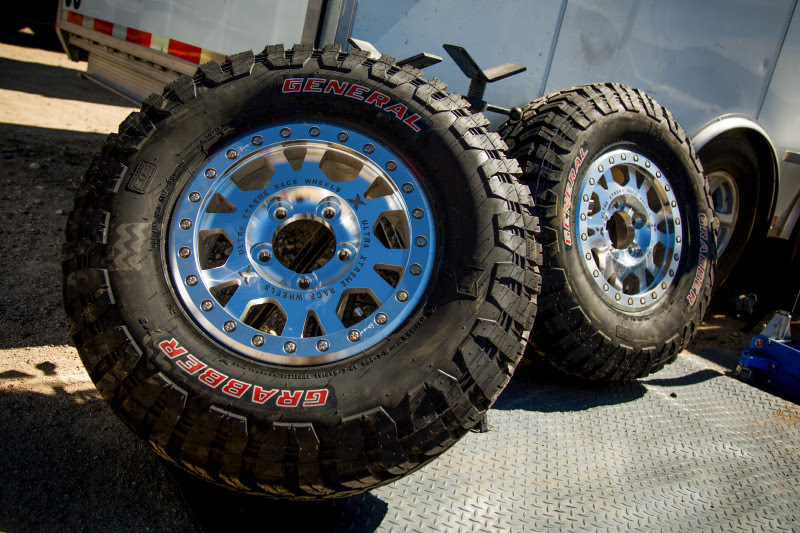 Jimmy Weitzel is supported by Simon Performance Technology, General Tire, Ultra Wheel Company, FOX, Howe Performance, Dynamic Manufacturing, SDG Suspension Development Group, and Weitzel Motorsports. 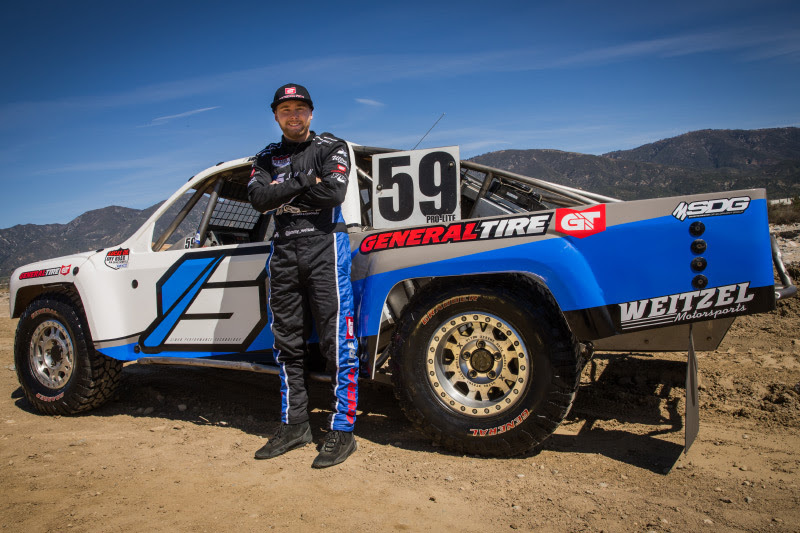 Jimmy Weitzel is making his mark in the Lucas Oil Off Road Racing Series driving the #59 Pro Lite truck. At only 17 years old he earned himself “Rookie of the Year” for the 2018 season finishing 7th overall in the championship against some of the best drivers in the series. 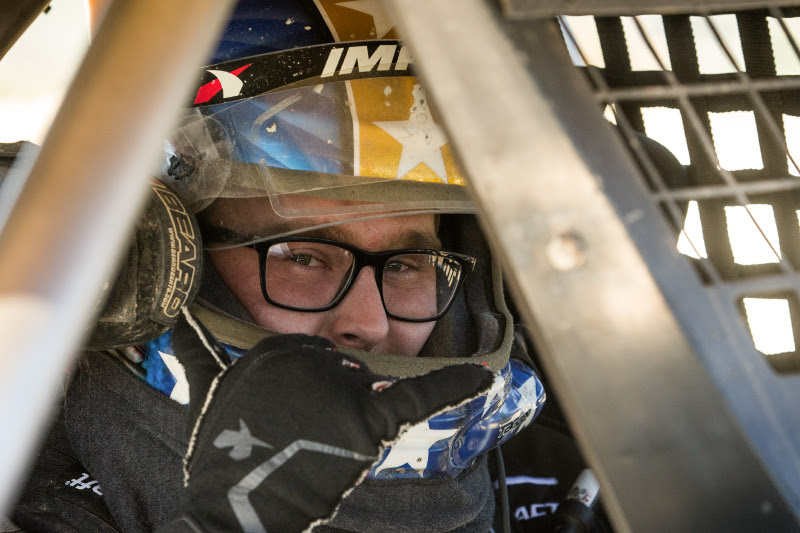 Before racing the National series, Jimmy was running the Lucas Oil Regionals Series where he finished 4th overall in 2016 and 2nd overall in 2017 for the points championship. When Jimmy’s off the track you’ll find him working side by side with his dad at Weitzel Motorsports working on customer truck builds and learning everything it takes to keep his program running strong. 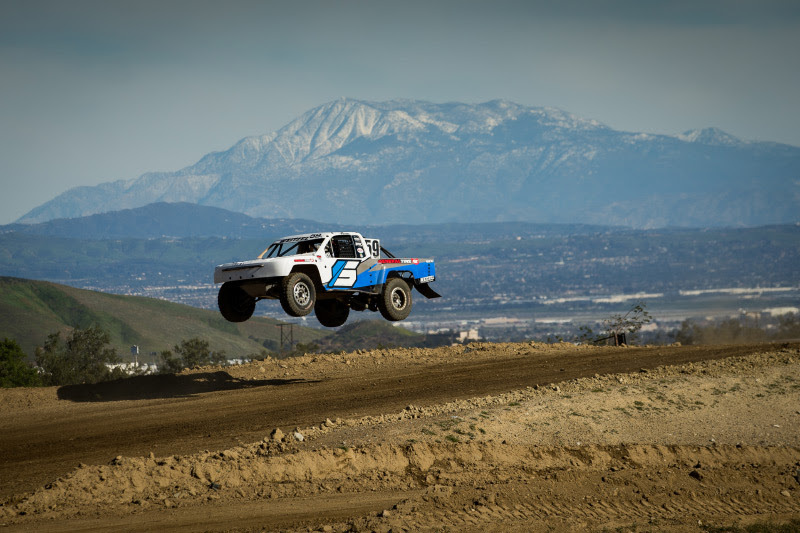 Jimmy may be one of the youngest drivers on the track, but don’t underestimate him. He is smooth, consistent, and getting faster every time he gets behind the wheel. 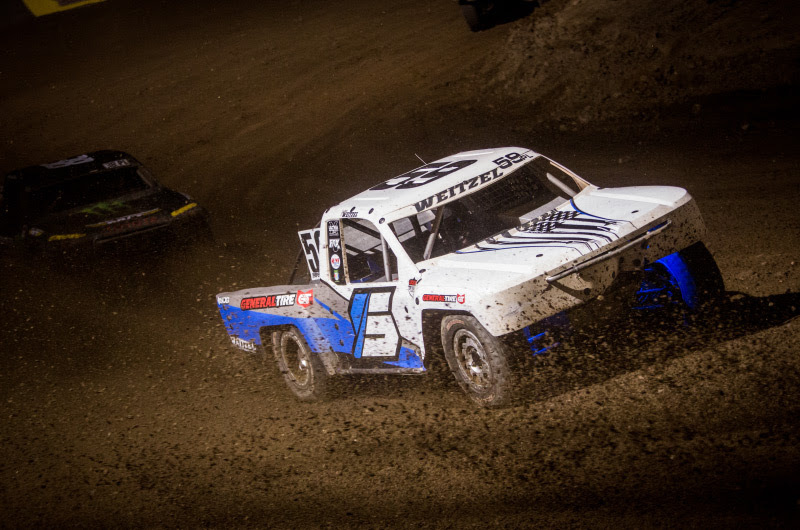 Jimmy Weitzel and team have their sights set high on wins and podium finishes in 2019. Bink Designs is a premier graphic design company located in San Diego, CA. Since 2007, Bink Designs has been committed to providing cost-effective solutions for clients’ high-end graphic needs. Bink Designs will work with you to develop a strategy that matches your goals. Bink Designs offers a number of services, including: Identity, Print Design, Vinyl Graphics, Web Design, Photography & Apparel.